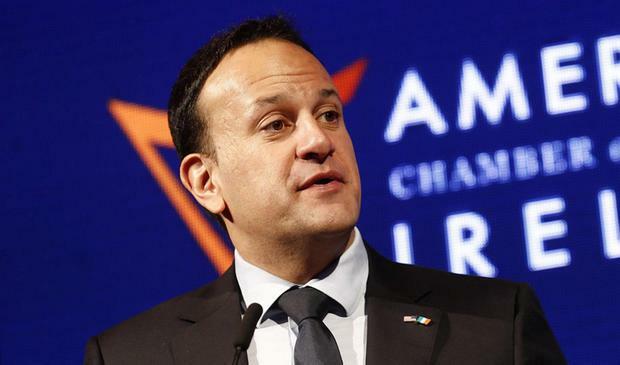 Taoiseach Leo Varadkar has backtracked on his claim that ensuring property taxes remain stable will be "simply a case of adjusting the bands". Amid accusations that he has withheld a long-awaited review of the local property tax (LPT) to coincide with the local elections, Mr Varadkar has now said it is a complicated process because "house prices haven't risen by the same percentage in every part of the country". Householders currently pay the LPT based on the value of their property in 2013, but this is due to change from November. At a Dublin selection convention on Wednesday night, the Taoiseach promised the "vast majority" of bill-payers would see no increase even though house prices have gone up 80pc in parts of the capital since the economic crash. Fianna Fáil's housing spokesman Darragh O'Brien accused the Fine Gael leader of "playing with people" when they need certainty. He told the Irish Independent a review established by the Government should have been published months ago. "They are holding it back so that it can be released in April as part of an attempt to gain votes for Fine Gael in the local elections," he said. Mr Varadkar denied this was the case, saying he doesn't have a date for the publication of the review yet "but obviously the re-valuations are due to happen in November 2019 so we'd have to have it well before that". Around 1.9 million householders paid the LPT last year, raising €482m for local authorities. Currently a householder whose property is worth between €150,000 and €200,000 must pay a standard annual rate of €315. The bill rises to €405 for a property valued between €200,000 and €250,000. Mr Varadkar announced the plan to ensure most homes attract no increase at the Fine Gael's selection convention for the Dublin constituency in the European elections. He said "nobody will see a dramatic increase" in property tax next year.